Sorry to all you pushrod patrons, but we believe the Ford Coyote modular engine is the best powerplant Ford has ever produced. From intake manifold to oil pan, the Coyote screams efficiency. It makes more power per cubic inch than any other naturally aspirated musclecar on the market, period. So what happens when you have an engine that’s already awesome from the factory? Well, as far as the short-block of the Coyote goes, there’s not a whole lot that can be done. Sure you can squeeze an additional 10 cubic inches out of the bottom end but it’s simply not worth the investment … unless you’re planning a full rebuild. Getting the air in and out more efficiently is really where the power lies. For this segment we teamed up with Comp Cams to see how well their new CR Series cam grinds work. Our test engine was none other than our $9,999 budget Coyote project that we were flogging on the dyno over two days, gathering three other articles. There’s power to be found in Coyote cylinder head porting but removing and reinstalling the cylinder heads might be too much work for not a ton of reward. So what else is left? Really it comes down to four areas — exhaust system, air intake, intake manifold, and camshafts. The most common first upgrades are the aforementioned. From there, you need to move to the sticks that are opening the valves longer to keep the air flowing freely. Coyote camshafts don’t come cheaply since you need four of them to complete the task. Not to mention the entire front of the engine has to be disassembled to get in there, which isn’t too bad if you have the right mechanic doing so. Just like the No Springs Required (NSR) line of camshafts the CR Series line is offered in three stages for naturally aspirated and turbo engines as well as three separate grinds for blower applications. “While we knew a tremendous amount about the camshaft itself along with the valve spring, the original NSR cam series was more based from incremental improvements from our mod profiles and the OEM cams, and was not a true clean sheet design for the new engine,” explained Godbold. We actually installed 2011 Mustang GT cams. With the valve cover off, the first order of business is to pull the damper. 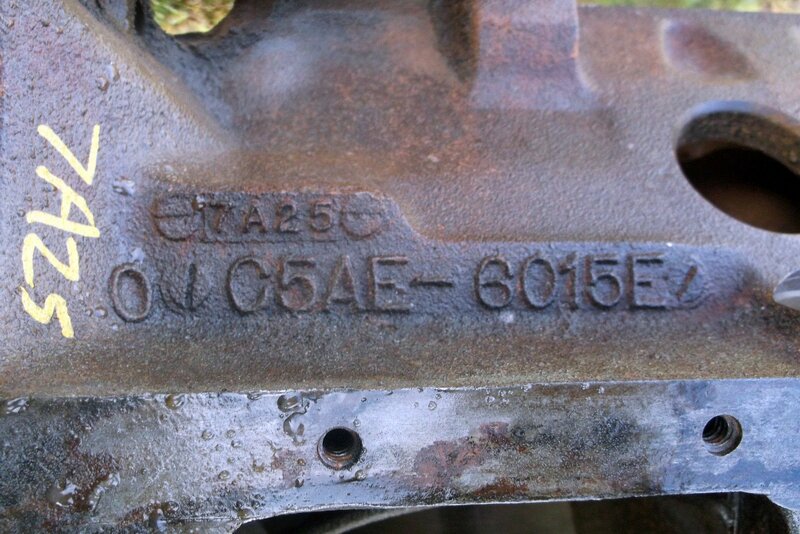 Remember that the crank bolt on a Coyote is torqued to yield and cannot be reused. Once the damper is out of the way, the front cover comes off easily after removing a few bolts. When talking about how much better the CR Series grinds are, Godbold went on to explain, “To give a comparison of the type improvements available, let’s compare the 228 at 0.050 and 275 advertised duration (at .004”) NSR lobe #19556 with the 231 at 0.050” and 273 advertised duration (also at 0.004”) CR lobe #19822. The new 19556 has 2 degrees less seat timing but 5 percent greater overall area. The duration at 0.200-inch is 175 for the older design and 180 on the new CR, acting like a five degree bigger cam in the mid lift range. By 0.400-inch valve lift, the difference is over eight degrees more duration with the CR profile. Hence, with the ported heads that are still climbing on flow at 0.400,” the new CR has close to 10% more time in this lift range. When we were specing out the camshafts for our $9,999 budget Coyote build we originally selected Comp Cams’ NSR line of camshafts, but as Comp began producing the CR grind, we knew we had to have them. With the front cover out of the way, remove the two primary chain tensioners, primary chain, and then the three bolts that hold the phasers onto each camshaft. Again, these bolts are designed for one time use. Place the cam caps in place on a clean towel when removing them - they are directional. Our Coyote started life as an F150 takeout engine that was completely rebuilt. The short-block consists of the factory crank with Manley rods and pistons. Compression is 11:1 while a slight overbore to clean up the bores puts the cubic inches right around 304. The cylinder heads are stock sans the Comp Cams required valve springs and tool steel retainers (PN 26113CY-KIT). One thing about the CR line for the 2011-14 Coyotes is that valve springs are required. This was fine because we didn’t want to run the warn out, stock F150 springs anyway. We previously installed Comp Cams’ valve spring and retainers (PN 26113CY-KIT). They feature 93-pounds of seat pressure with 198-pounds of open pressure. For the induction side of the motor we had tested a variety of intake manifolds but settled with the middle ground BOSS 302 for this test. Our test took place at Westech Performance. Steve Brule handled the dyno work while Ryne Cunningham of Cunningham Motorsports handled the tuning through an SCT X4 handheld. L&R Engines came out to handle the cam swapping duties. Our Coyote is a fairly mild, street friendly rebuild. 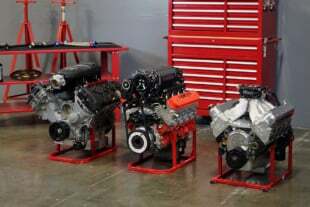 You can learn about the LS3 versus Coyote build off here and the Coyote engine build story here. In summary, the former F150 takeout engine features a stock forged crankshaft, Manley H-Beam rods, Manley 11:1 pistons, Boss 302 intake manifold, Ford Performance controls pack, stock cylinder heads with the aforementioned Comp valve spring kit, and Mustang GT camshafts. When dealing with the factory camshafts there’s a total of 50 degrees of movement that you can play around with to precisely tune the engine’s power curve. 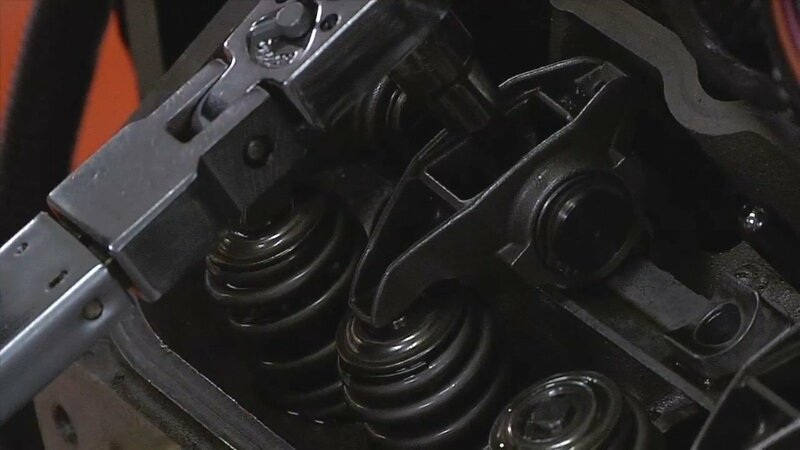 “Generally when the factory cams are installed, we have to fully advance the intake camshafts in order to make midrange power, with very little retarding of the camshafts at high RPM,” explains Ryne Cunningham of Cunningham Motorsports. A respectable amount of power out of the box on 91 octane – 460.4 horsepower at 6,900 rpm and 388.8 lb-ft of torque at 5,400 rpm. Installing camshafts on a Coyote is a hell of a lot easier to do on an engine dyno than in the car, though a seasoned installer can perform a cam swap in about three to four hours. Double that when it comes to replacing 32 valve springs on the engine. Once the accessories, valve covers, balancer, and front cover are removed, next remove the two primary tensioners. Don’t worry about timing the engine as the primary chains are removed because you will line the paint marks on the links up later. With the long primary chains removed, remove the three bolts on the front of each phaser, pulling both the intake and exhaust phasers off together. At this point you can begin to remove the cam caps but make sure you keep them in order since they are directional. Remove the front cover off each of the phaser, keeping in mind that there’s a spring that will need to be reinstalled behind the plate. Drop in the limiters and re torque the front cover plate bolts. Now it’s a matter of reversing everything to install the new Comp camshafts. A C-clip holds the front cover in place. On the center photo you can see the brown plunger that sticks to the underside of the phaser cover. Remove that and install it back on the spring like you see in the third photo. We used ARP’s phaser and cam cap fasteners, which can be reused. With everything in place it was time to reinstall the front cover and the balancer. Well, as they say, the proof is in the pudding. We netted 510.4 horsepower at 7,600 rpm and 398.4 lb-ft of torque at 5,400 rpm. That’s a total gain of 50.0 horsepower and 9.6 lb-ft of torque. The biggest changes come in peak power delivery – moving from 6,900 rpm to 7,600 rpm with a Boss 302 manifold. Expect horsepower and torque loss under 5,200 rpm. With aftermarket camshafts you’re tuning your effective power band and the CR Series Stage III cams moves everything up 700 rpm. Though once out of first gear, you’ll always be on the positive side of the power band. Best Coyote Internal Engine Modification? While installing camshafts in a Coyote isn’t for the faint of heart, it’s also not overly complicated. Having an engine that doesn’t need to be degreed makes installing camshaft upgrades in Coyotes fairly straight forward. In a matter of two hours we were able to pick up 50 horsepower to the crank while pushing our peak power up 700 rpm. We have to say that we are more than happy with what we achieved from our day on the dyno!